Are You Ready for Flash-Free eLearning by 2020? Let’s talk about how best to convert your Flash courses to HTML5. Rejuvenate and launch your upgraded eLearning courses on an unprecedented scale at unmatched speed. Want to Convert Your ILT Material? We combine robust instructional design with authoring tool mastery to blend your classroom, eLearning and microlearning. We’re your best partners for creating effective learning journeys. Hello, 你好, Bonjour, Hola, Hallo! To paraphrase Nelson Mandela, it is better we talk to a man in his language if we want to reach his heart. We translate and develop eLearning courses in 35 international languages, leading to great improvements in comprehension and recall for your global employees. The Maestro of Authoring Tools – At Your Service! We have mastered all popular authoring tools – Articulate 360, Rise, Lectora, Captivate, iSpring, and many more – Whichever authoring tool you want to use, we make it dance to your tune! We understand your constant challenge of aligning employee training, learning and performance with tangible business results. We appreciate your thirst for the best practices in learning technologies and how to use them to reduce time to optimal performance on the job. We understand your constant endeavor to wring the last drop from your training budgets. Be it leveraging existing ILT material into eLearning, or refurbishing legacy courses to suit new age learners; we know you see training as a means to achieve your terminal goal of improved employee performance. 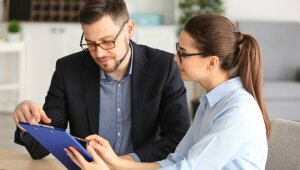 We understand your constant rush to meet tight deadlines – the need to roll out product sales training in time for product launches, to launch compliance training to meet time sensitive legal mandates, or to blend classroom with eLearning and micro learning for training employees on enterprise software applications. We understand your concern to deliver effective training to employees who are not native English speakers and the need to provide timely training for your employees around the globe. We know how frustrating it can be to deal with multiple vendors for eLearning and translations. We understand your need to juggle multiple tasks and satisfy multiple needs – training needs analysis, vendor management, delivery of training and training analytics on one hand and Stakeholders, Purchase, Vendors, Senior Management on the other – and most of these tasks and interactions need to be done remotely across different time zones! We Understand Your World because We Are From Your World. We are from corporate training and L&D backgrounds. Some of us have held positions in universities and HRD departments of large organizations. We have faced all the challenges that you face every day. And we always deliver more that you expect. Our customers have ranked us among the top 10 eLearning Content Development companies in the world from a pool of 3000+ companies, three years in a row! Here's How Our Rapid eLearning Solutions Can Help You with Speed, Scale and Value! We convert your Instructor-led Training (ILT) material – PowerPoint decks, facilitator guides and participant handouts – into instructionally sound, visually appealing, engaging and effective eLearning curriculums. We also convert the same content into different digital formats such as microlearning, mobile learning nuggets, just-in-time job aids and performance support learning assets. By converting ILT material into eLearning and other digital formats, we enable you to accompany your learners through their learning journey, ensuring they beat the “forgetting curve” and get the best out of your investment. Your professional colleagues will seek and value your advice! We rejuvenate your legacy courses (created in Flash or any other authoring tool) and make them compatible with multiple devices, avoiding browser compatibility issues. Don’t have source files for your legacy courses? Not to worry! We can still retrieve their content and digital assets and publish the courses to HTML5 format, with the latest authoring tools. We can give your online courses a fresh lease of life by recording, republishing, rebuilding or redesigning them, according to your need and budget. By converting and using a substantial number of old courses, you get the best of your investment and unbelievable ROI. Your Gen Ys and Zs would love your new and improved eLearning catalog! We can translate your English language master eLearning course into 35 international languages – both the text and audio narration. We not only translate, we also localize – taking care of colors, images, instructions and navigation. The best part? We also re-integrate the course content and graphic assets together and publish them using the authoring tool of your choice. So, you don't need to deal with two vendors for translation and development. Our huge pool of subject matter experts in various domains and industry verticals help us turn out translated courses accurately and quickly. Your colleagues around the globe are going to write you quite a few ‘Thank you!’ emails. In early 2000, CommLab India was one of the leading experts in Flash-based eLearning. Even then, we foresaw the utility and ease of use of authoring tools such as Lectora, Articulate Studio and Captivate. We acknowledged the wisdom of the L&D managers who adopted authoring tools in a big way and understood why authoring tools became such darlings of the L&D fraternity. Since then, CommLab India has literally mastered all popular authoring tools – Articulate (all versions including Articulate Rise), Lectora (all versions), Captivate (all versions), iSpring, dominKnow, Camtasia and many more – and over the years, has developed hundreds of hours of eLearning using these tools. Your colleagues will appreciate the control of having your vendor develop courses in the authoring tool of your choice, exactly how you want it, when you want it. 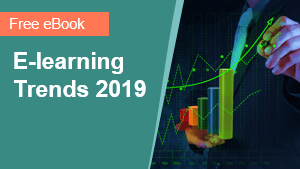 What are the eLearning trends you shouldn’t miss in 2019? This eBook explores the top 5 trends top-performing organizations vouch for. Get started with blended learning, rapid eLearning and learning analytics. eLearning requires close collaboration between the design team and subject matter experts (SME). How can you make this partnership harmonious? SCORM can’t track all offline activities involved in blended learning. Read to know how xAPI aids in tracking even offline learning activities.